Our very own Youth Market has won a national award. 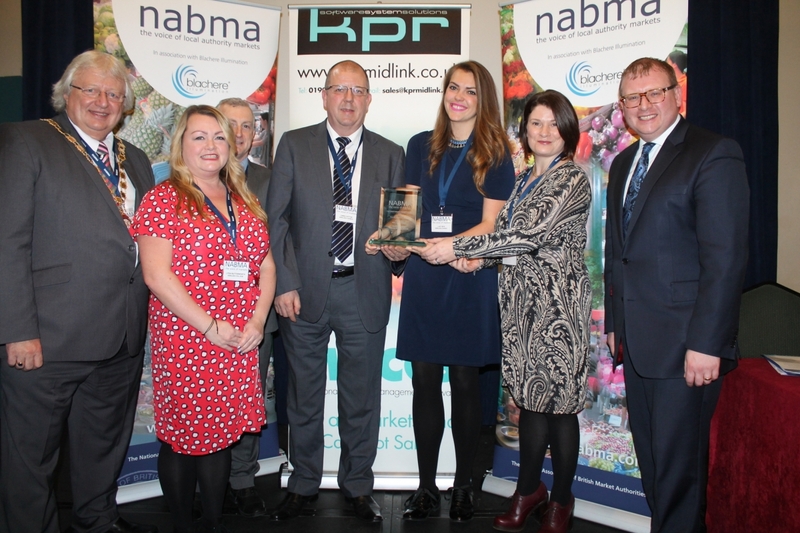 The Alternative Market has been recognised at the Best Small Specialist Market by the National Association of British Market Authorities. Minister for High Streets and Markets – Marcus Jones presented the Award at a ceremony in Birmingham on Thursday 28 January 2016. The market received the award because it was a standout application in its category. The Alternative Market supports young people aged 13-29 to start or develop their entrepreneurial ambitions through Kirklees markets. The markets started in 2014 and feature stalls selling everything from recycled jewellery to food and drink. The markets also include a performance area, which gives local singers and performers the chance to get in front of an audience and entertain. There have been 26 alternative markets held across Kirklees with many more planned for this year.